This directory contains many of the best travel blogs. These websites all contain content related to travel that should help you on your trips. Many of the suggestions are blogs that I have discovered over time and I often read articles on these sites. This directory isn’t too big right now, but will gradually get bigger as I find sites I think you’d like and would find helpful. A wonderful travel blog by Hayley Griffiths from London. The aim of her site is to provide tips and advice for having a happy life. Her site includes tons of amazing travel tips and advice, from budget, adventure and luxury travel, as well as posts health and wellness. As the Sparrow Flies is a travel and lifestyle blog. As well as travel, Sam who runs the site has posts on Festivals, London Living, Lifestyle and Personal development. This site is run by Clazz who is a budget traveller and is from remote islands at the top of Scotland. She has well written and detailed posts with destinations from all over the world. An awesome and well designed blog by Adonis who originally comes from the Philippines. He has been to 52 countries so far and his blog has fantastic content about his adventures and how to travel cheaply. Julie is a solo traveller from Australia. She writes about her adventures as a woman in her 50’s. Her interesting tales have encouraged many other not so young people to venture out into the world alone. This site is run by Turner and provides content related to the USA as well as a few places outside of the States. He has posts such as things to do in cities, guides to some of Americas stunning national parks, how to travel around the USA without a car and lots more. A blog with tips and advice on work you could do around the world, as well as various other travel related posts. AllGudThings is a Travel, and Lifestyle blog by Indian couple Suruchi and Tashi. They are opposite to each other in every way, but aspire to see the whole world together in one small life. Through their site you’ll find content on India, Thailand and Sri Lanka. Frank and Lissette are highly likeable and run a great travel blog. These guys are originally from Canada, but have since lived in lots of places around the world. Their site provides great personal insight into destinations they visit and detailed well written posts. Claire is a travel obsessed blogger from the UK and who loves looking at maps and then exploring the world. Her blog is designed to provide inspiration to help you travel and become the best person you can be. Curious Nomad is run by Mig who is a Filipino American from Chicago. He has been to over 23 countries and he provides tips aimed at helping people travel smart. He describes himself as an adventurous traveller and has had lots of experience both good and bad from his trips. One of my favourite sites, Dan Flying Solo is a beautiful and well designed site. As soon as you hit the home page you will instantly feel mesmerized by the video on the home page showing some of his travels. One his site you’ll find fantastic photography, guides, tips and much more. A fun blog with lots of adventure travel by Matthew Karsten. He’s been exploring the world for over 7 years and produces tons of great content combined with stunning photography. A beautiful site by Alison who has travelled to 40 countries and 6 continents and counting. Her style is storytelling and she has various posts on adventure, culture and wellness. “Forever roaming the world” is a blog by Amit from Nottingham UK. In 2010 he packed his bags and started solo traveling around the world on a budget. He originally intended to travel for one year but ended up travelling for 6 years. His blog was launched in 2017 to help new solo and budget travellers get to grips with long term budget travelling. Through his blog you’ll find hints and tips, guides with a twist, travelling realism’s and he covers both sides of the long term travelling. He talks about what everyday traveling life is about, including the bad days. Full Suitcase is run by Jurga from Lithuania but now lives in Belgium. Her blog has tons of useful and inspiring posts, such as family travel, trip itineraries, reviews and more. A blog with great posts on family travel as well as Paris and lots of other destinations. The blog is run by Lena who is currently living in France with her husband and two children. They often travel in holidays but hope to take a longer trip in the near future. Happy to Wander by Christina from Vancouver Canada. Her site has a beautiful design and equally stunning pictures. She has guides, reviews, and also writes awesome blogging advice, some of which I’ve used to help me build this site. Hand Luggage Only is a huge and popular site. Run by energetic Yaya and Lloyd from the UK, this site will provide heaps of travel inspiration, as well as posts on delicious food that will make your stomach grumble. HĒLE & LIME is a great travel blog by Maud and Jonas who are an adventurous couple currently living in Reunion Island in the middle of the Indian Ocean. On their blog you’ll find great photography and content on destinations such as Bolivia, Colombia, Peru, France and Ile de la Réunion. A Husband and Wife blogging team with enthusiasm for food and travel! Finding new travel destinations and ways to get there are half the fun. They love to day dream, plan and talk about upcoming trips and then write about their travel experiences. A cool site with great pictures and inspiration by Canadian traveller Kat. I often check this site and the posts make me want to visit the places she writes about. A blog named after mountains and lions where you’ll find tips that’ll make hiking and camping a breeze. A travel blog by Laura with great content on Australia, New Zealand, Asia, South America and Europe. As well as tips on affordable travel and more. A site providing great content from around the world, written by one of the most well known Travel bloggers out there. Matt from Boston USA is also famous for a book he wrote called “How to Travel the World on $50 a Day”. Nomadic Samuel contains great guides, photo essays, videos and awesome travel tips to help his readers. He’s visited 26 countries so far and has also worked in Asia as an English Teacher, as well as a model, photographer and writer. Nomadic Notes is run by James Clark and his site is about his life as a traveller and digital nomad. He is originally from Melbourne Australia and also provides web based services to the travel industry. A very enjoyable blog to visit, this colourful and beautiful blog by Phil and Garth provides a fantastic personal insight into travelling. On their site you’ll find endless beautiful and artistic photographs, videos, easy to read but detailed content and much more. ShinyVisa is run by couple Nicole and Derek who are based in Singapore. They started ShinyVisa to note down their travel adventures around the world, as well as to share travel tips and hacks. Unlike most full time travellers, they work on their blog part time and also have a full time job. They try to inspire people by saying: “Who says you can’t travel the world with a full time job!”. Silverspoon London is a fantastic and high quality lifestyle, food and luxury travel blog. It is run by Angie from the UK, who is a talented writer and she provides detailed information about the places she visits. On her blog you’ll find restaurant and hotel reviews, travel tips, lifestyle experiences and much more. The Planet D by Dave and Deb from Canada, provides excellent tips and advice for your travels. As well as beautiful pictures to compliment their articles you’ll find fun and energetic videos too. A travel blog with a Vienna focus. 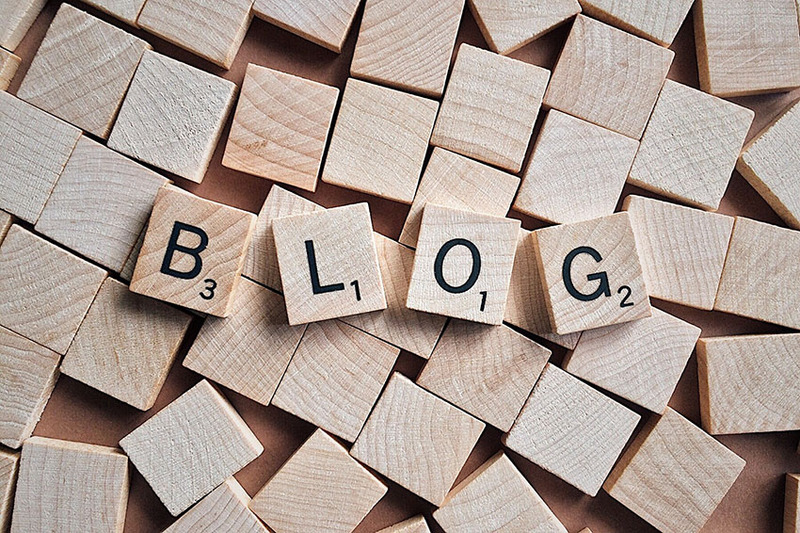 The blog is run by Greg Sideris, and as well as Vienna and Austria content you’ll find posts on luxury travel, hotels and other places around the world. A wonderful travel blog by Kirsten from California, US. She used to have a corporate job but has since left and now travels the world. Her site is beautiful, well designed and full of useful tips to help you on your journeys. The Sane Travel is a blog by Anita from Latvia. She works full time but travels during her holidays and weekends. She has visited 46+ countries and on her site you’ll find beautiful galleries of images, as well as posts with things to do and tips from many of the destinations she’s visited. A fantastic travel blog by Freya and Chris who are from Australia and Belgium. Their blog has a beautiful design and contains informative and well written posts, which are complimented with stunning pictures. Of course I should have my own site in this directory listing. Travel and Destinations provides destination ideas, travel advice, photography tips and much more to help you on your trips. The Savvy Backpacker by James and Susan from the US, is designed to provide you with everything you need to know for planning and preparing for a trip! As well as packing lists, money, safety tips and other great content. The Longest Way Home is run by Dave and his site serves as a journal to document his travels. For each country he visits he writes a guide and shares his experiences from that place, including a bit about the food, do’s and don’ts, the people and lots of other useful information. A regularly updated travel blog from solo traveller Vicky. She provides content on travel as well as festivals and blogging. Her content has a well designed layout and is easy and enjoyable to read. A Vienna, travel and lifestyle blog run by Una and Isidora. These girls are originally from Belgrade, Serbia but are now living in Vienna, Austria. They take beautiful photographs and some of their food posts will make your mouth water. Carol is a fantastic luxury blogger from Toronto, who travels the world visiting amazing hotels, spas and destinations. You’ll find high quality posts on her blog from places in Africa, South America, Asia, Europe, North America and many more regions. A travel blog by Justine, AKA Wanderer, who’s originally from the UK but was born in Germany. She has trekked all over Italy and has visited heaps of other destinations around the world. On her blog you’ll find destination tips and inspiration for countries such as Italy, Iceland, Finland, USA and many more. Wildluxe is a travel and luxury blog by Misha Gillingham. Her site has fantastic reviews of stunning hotels and resorts, as well as great travels tips and posts on the many destinations she visits. A very established blog and one of the most well known. This beautiful family consisting of Caz, Craig and their two daughters Kalyra and Savannah provide amazing content from their experience of living in 5 countries and having travelled another 52. Definitely a blog you should visit. A blog by Chiera from Scotland, who shares her experience and personal perspective of travel and also has lots of posts on travelling solo. Here are some other blog directories that you may like. 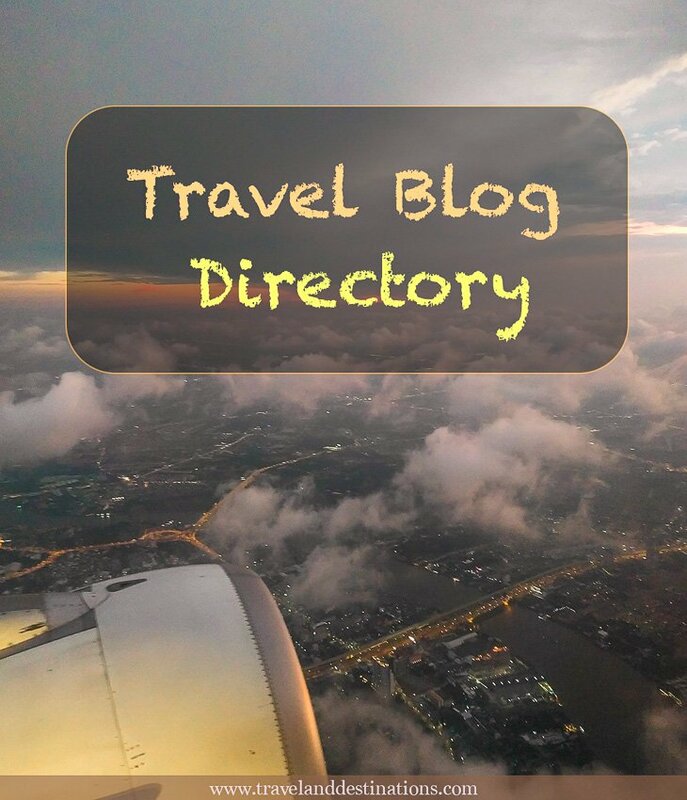 Hey Buddy!, I found this information for you: "The Best Travel Blogs | Directory". Here is the website link: https://www.travelanddestinations.com/resources/travel-blog-directory/. Thank you.